A few years ago, I had to come to terms with my burgeoning habit of browsing housing rental ads on Craigslist for places in the Pacific Northwest. I’d look at the listings and wonder, What would it be like to live in Washington? Wondering soon turned to obsession, and obsession spurred research. Before I knew it, I’d made a decision—I was going to leave my ancestral home in the upper Midwest and trek two thousand miles to live near the shores of Puget Sound. I’m at my desk now writing this article from what I consider to be the happiest place on earth. The natural surroundings, the people, and the culture called me here and I have an overwhelming sense that I’ve found where I was meant to be. But I couldn’t have done it without setting goals. 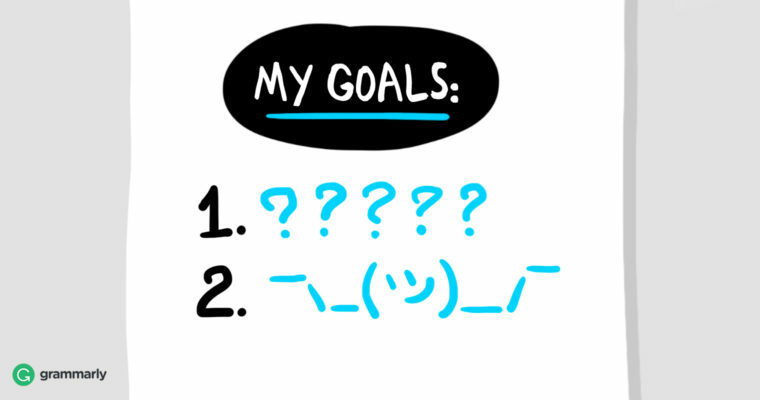 It turns out that I accidentally did goal-setting right. I chose one overarching intention, set a concrete goal, which I focused on from a positive angle, and then broke it down into achievable steps. Although I didn’t look into goal-setting techniques before I determined that I was moving west no matter what it took, I got lucky—psychology backs up my methods. Here’s how I made it happen. Begin by setting your intention. What do you want? Start with the big picture. For me, moving west was part of a more abstract desire: “Find your place in the world.” Your overarching motivation might be to get healthier, or to be less solitary. Your intention isn’t the same as your goal; it’s the why behind it. Take time for deep reflection. What do you truly want to accomplish or see change in your life? We have a tendency toward wishful thinking, but it’s effort, not daydreaming, that makes our wishes into reality. Setting an intention is the first step toward actualizing your desires. Now it’s time to set your primary goal, the Big Thing you want to achieve that will bring you closer to your intentions. There are just a few simple rules. Aim to be actual. Think of this process as taking a big abstract goal and making it more concrete. For me, this step meant taking “find your place in the world” a step further with “move to the Pacific Northwest.” For you, “get healthier” might begin with “be more active.” Make sure your goal is something you can actually do. You may want to become a rich, famous novelist, but that’s dependent on a lot of outside factors, from agents to editors to fickle markets. It’s okay to be ambitious, but keep your goal within the realm of possibility. “Finish writing a novel” would be a better place to start. Write down your goal, and then write a little bit about it every day as you imagine what your life might be like if everything progressed perfectly. Do this for several days in a row. Research shows this technique works! Make sure it’s about you. The only person you can control is yourself, which is why a goal like “get people to like me” doesn’t work while “be more sociable” does. Break your goal down into actionable steps . . . backwards. I wanted to move west. I knew that much. Now, I had to figure out how to make it happen. That involved assessing my huge goal, figuring out all the smaller steps I’d need to take to get results, and prioritizing them. Trying to suss out how to get from A to Z can feel overwhelming. That’s why it’s sometimes easier to work backwards. My move west is a good example of that process in action. I imagined the very last thing I would need to accomplish right before achieving my goal—“move into my new place.” What would have to happen right before that? Hmm. I’d have to drive cross-country. And before that? Pack my moving truck. And prior to packing my moving truck, I’d have to pack my stuff into boxes. But before I could pack a moving truck, I’d have to actually rent one. The flow of your action plan won’t always be linear, and you’ll realize that certain steps (packing a truck) are sub-tasks of another (rent a truck). That’s okay. The idea of working backwards is simply to get things rolling along. Pondering your steps from the top down can feel overwhelming, but working backwards breaks that spell. Think of it more as a brainstorming session. You’ll organize everything later. Keep the process fluid. Part of achieving your goals is being able to adjust your action plan as you go along. For instance, I originally planned to secure a moving truck, and I even went so far as to rent one. But then I decided that I didn’t have furniture valuable enough to warrant me paying nearly $3,000 to move it across the United States. I revised my plan, organized a huge moving sale, donated what I couldn’t sell, and packed my most important treasures into my minivan. Goals are meant to help you shape yourself into the person you want to be. It’s all you, baby! Just remember that nothing, not even your goal itself, is written in stone. It’s completely up to you to decide where you want to be in life and how you’ll get there. You’re the master of your fate.